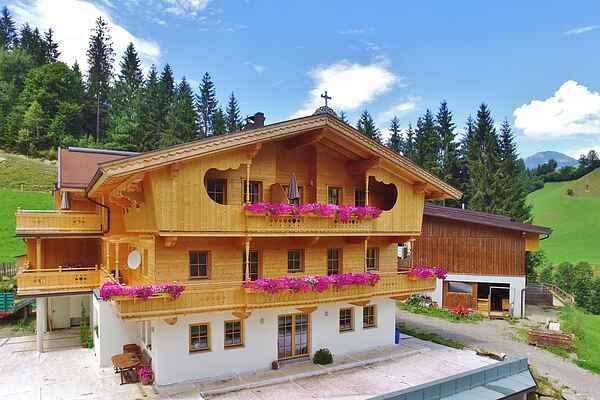 This detached farmhouse is located in a wonderful, quiet and sunny spot in the mountains, not far from Westendorf. This newly built holiday home is situated on the second floor and is equipped with all modern comforts. The holiday home has a spacious layout and the large terrace on the balcony offers breathtaking views of the surrounding mountains. Cycling and walking trails start on your doorstep. The friendly owner has a sheep farm, where kids are welcome to have a look. Skiing enthusiasts can start both in Westendorf and in Hopfgarten and make use of the largest skiing area in Tirol! From January 2020 the number of people will be increased to 6 people, a sofa bed will be added to the layout of the apartment.